Summer youth James Johnson trims weeds and over-growth from the fence of District senior citizen Loretta Womack. 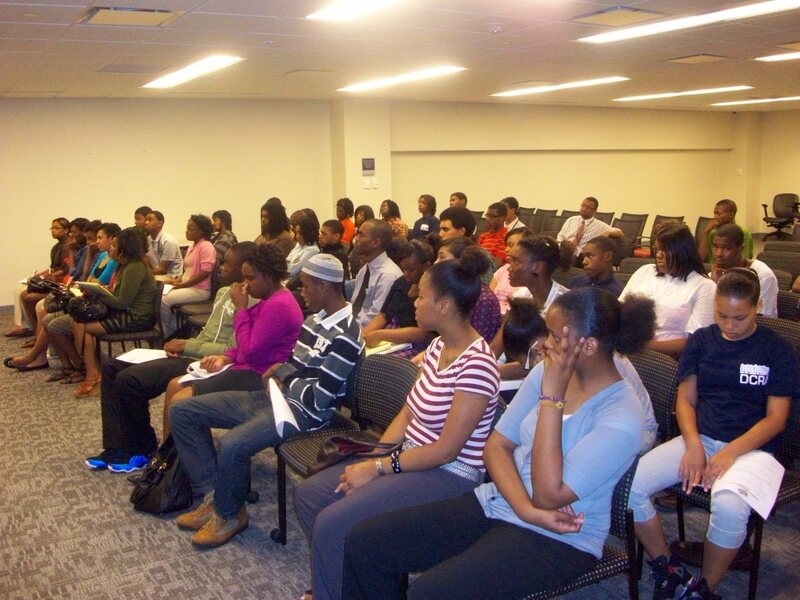 The DCRA summer youth employment program participants are holding positions in most of the agency’s departments. Each of them works to complete important and worthwhile projects each day, though some require a bit more physical output than others. The youth in the enforcement department have been especially busy this summer, working in the hot sun (with proper hydration nearby and adequate break periods), but it’s work that each of them says has been really fulfilling—beautifying the lawns of District senior citizens. Today, Omari Al-Din and James Johnson went out to help brighten the day of some District seniors. I caught up with them at the home of Mrs. Loretta Womack in Northeast D.C. James was trimming the ivy and other weeds that were growing along the fence surrounding Mrs. Womack’s property. Omari was cutting the grass. I was drenched in sweat within minutes of getting out of the car, and they certainly were, but when I stopped them to ask what it was like doing the work, each of them smiled and started telling me how great it has been. Omari said, “It feels really good to give back to the community. Some of them [assignments] have been fun. Especially when a lot of us are out working on a yard. A few of the ladies even offered us food and drinks while we were working, but we always have our own drinks.” I was amazed at just how genuine Omari’s response seemed. Never once did he complain about how hot it was. Instantly, I felt badly about complaining, even if only in my head, about the heat. Omari Al-Din gives the lawnmower chain a yank to finish cutting the grass at Mrs. Womack's. I went inside to ask Mrs. Womack what she thought about what the boys were doing. She told me that she was so shocked that someone would do something that required so much effort in the hot sun; she couldn’t believe that DCRA wasn’t going to charge her. I laughed and reassured her that we weren’t. She says just from what she’d seen up to that moment, she’s had people who she’d paid to cut her grass who hadn’t done as good a job as Omari and James were doing. She says she thought it was a great idea that DCRA was doing something to help them stay out of trouble. Her husband, who passed away some years ago, used to be a D.C. police officer. When I went back outside to speak with James, he had only just turned off the grass trimmer he was using a few minutes before. His face was covered with sweat. I told him that I wasn’t going to hold him up for long and I only wanted to ask him a couple of questions about his experience beautifying the properties of District senior citizens. Just as Omari had done, he smiled and without hesitation told me that he was really enjoying the work. “It’s been very easy for me. Actually, kind of fun. It’s always nice to help people. I want to be a volunteer firefighter, so this has been a great experience,” he finished. 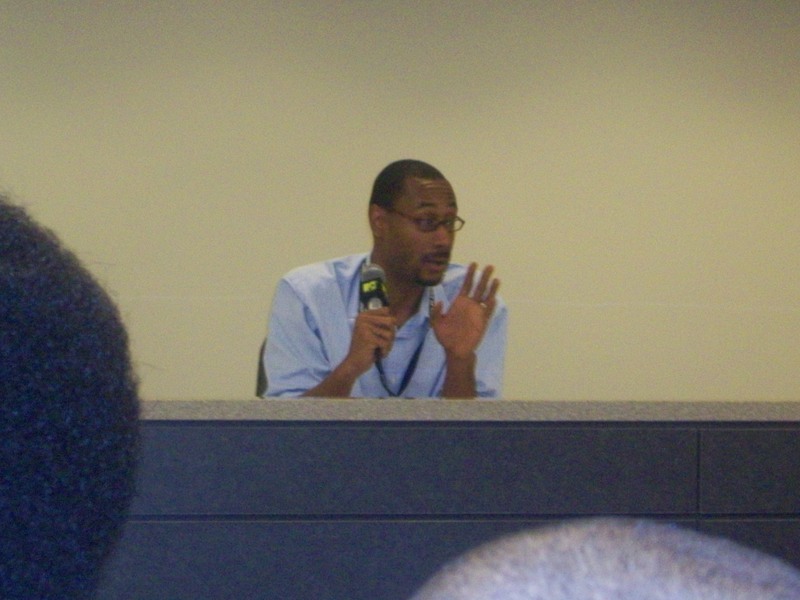 Mr. William Smith, a member of DCRA’s abatement team, says working with Omari and James and the rest of the young men on the summer youth abatement crew has been like working with his own kids. He says many of the boys didn’t even know how to cut grass before they started the program and, “now, they are all pretty good,” he smiled like a proud father. 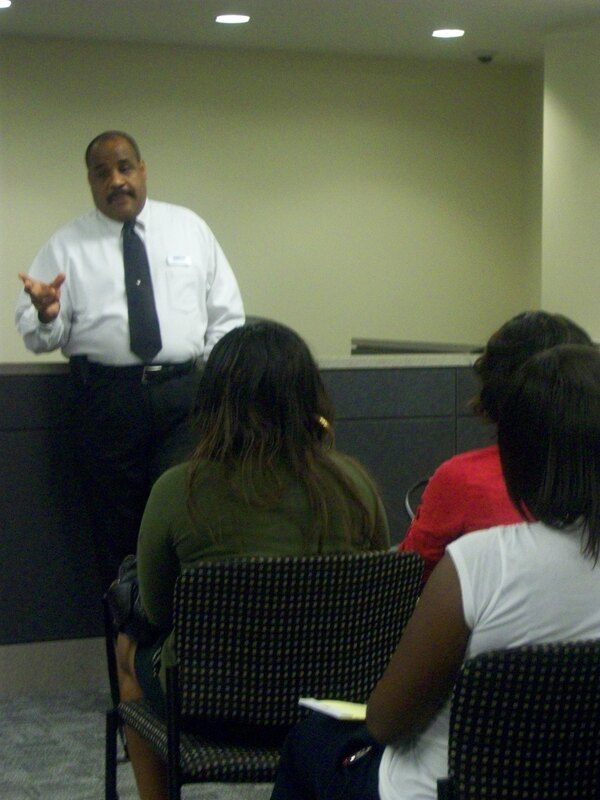 The District-wide summer youth employment program ends on August 21st.